The biggest shopping weekend of the year is here. I’m sure you’ve noticed how many pre-Black Friday deals are already available. But for many consumers who shop on their cell phones (last year, mobile devices accounted for over 30% of online Black Friday sales and almost 50% of Cyber Monday sales), we recommend you do your due diligence. The problem? Industry estimates show that two out of three retailers don’t have an iOS or Android app. That provides an incredibly easy opportunity for scammers to create fake apps using legitimate information and recognizable names, all in hopes of luring unsuspecting shoppers to fall for the fake app. Here’s what you can do to protect yourself as this holiday season gets going. 1) Vet any shopping apps by visiting a retailer’s website. If you see an app for a brand you like in the Apple or Android app stores, don’t just download it blind — visit that retailer’s website to verify the app and then follow their link to its correct source. If the app you’re looking at seems fishy, chances are that will be reflected in the app’s reviews by those who’ve downloaded it before. And if there aren’t any reviews, beware — a good rule of thumb is “Don’t be the first to try a new app out,” just like you should rely on the advice of IT experts and not be the first to download a new operating system or software update. 3) Look out for misspellings and other typos. This applies equally to the world of apps as it does to the world of phishing emails and other social engineering scams. If an appeal to download an app is riddled with odd language or misspelled words, it’s probably a fake. Professional developers and major retailers employ stringent quality control before they release an app. You can also look at the screenshots that are required to be included in an app store description — if they look grainy or low resolution, avoid downloading that app. 4) Avoid giving out too much information. This should be a no-brainer in our data breach-dominated day and age, but if an app requests a lot of info from the get-go (credit card numbers, access to photos or contacts), it’s probably a fraud. Accidentally granting permission like that is often just the mistake hackers are waiting for you to make. 5) Don’t click on any pop-up ads. This applies equally to websites as to apps, but any time you get a lot of irritating pop-up ads, use caution. Clicking on one of those can lead a user to an external illicit site that installs malware or other viruses on your device. 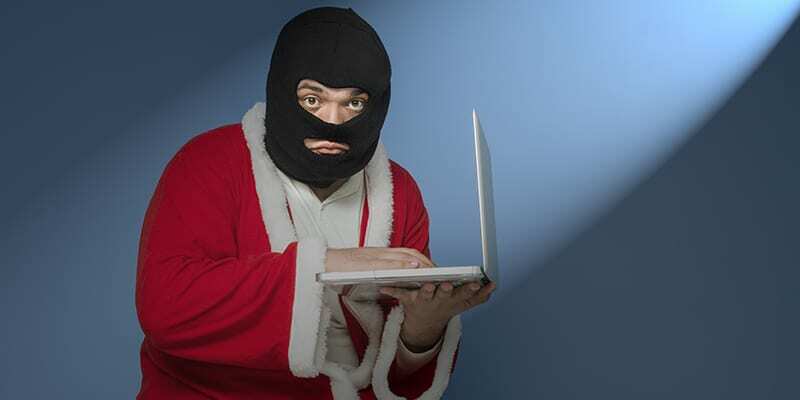 This holiday season, vigilance is required to stay safe on the digital front. If you plan on doing any shopping online or via smartphone app, make sure the portal you’re using is legitimate and safe by following the tips outlined above.